Video is a powerful tool for any business. It ups the trust factor quickly between you and your potential clients and it allows your potential clients to get an idea of who you are, what you offer and how genuine you are. The problem is most entrepreneurs are overwhelmed by the thought of making videos. There’s buying and setting up the camera and lights, and writing up a script, along with many other little bits of work that slowly kill their enthusiasm for creating videos. If that sounds like you, perhaps you would be better off creating spontaneous live streamed video shows. When you are live you aren’t expected to be “perfect” and there is no need for a script. You can start the show by offering a tip or teaching point and then open up “the lines” for Q&A. For this to work you may be wondering what technology you need to get this executed. The answer is an app that has everyone on Twitter and everyone at the recent SXSW conference talking. Meerkat is a livestreaming app that lets you share live video in real time to your Twitter followers. Meerkat works exclusively with Twitter, so you must have a Twitter account to start a Meerkat stream. 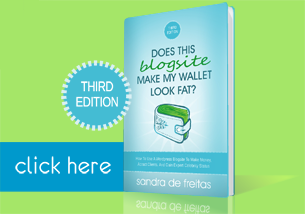 It is incredibly easy to use. Simply download the app to your iPhone or iPad (currently the Android app only allows you to view streams, but not start one). Launch the app, press the “stream” button and Meerkat will send out a Tweet on your behalf to your followers letting them know you are live on air, providing the link for them to view you. You can take the link posted on Twitter and post it on your other social profiles for others to view you as well. Viewers don’t need a Twitter account to view your video, however interaction takes place through Twitter replies. 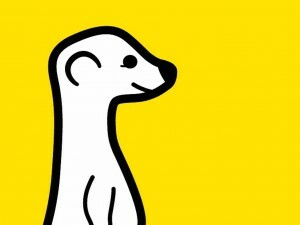 How can I use Meerkat in my business? These days it is super important that as part of their marketing strategy, business owners build relationships. This app will put you in front of your social media followers, and their friends. Once you are live on air, provide a valuable tip or resource, demonstrate how a product works, and/or turn it into a live Q&A session. Ask your viewers if you can help them with anything. Providing value is one thing, providing value in a new innovative way will set you apart from your competition and could send new opportunities your way. Download the Meerkat app in the iTunes store. Get a feel for how Meerkat works by searching for #meerkat in Twitter, click on the link in the tweet(s) and view live streams.